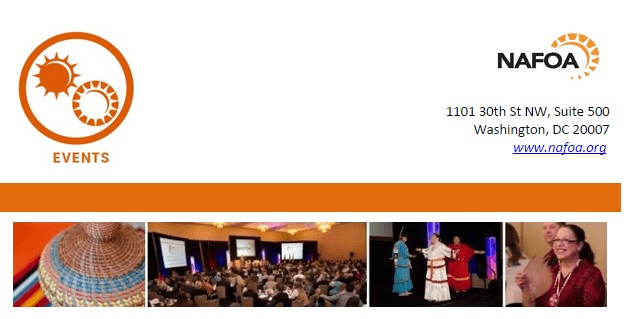 Join us in Boston for NAFOA's 2015 Fall Finance & Tribal Economies Conference, to be held September 14 - 15, 2015. Tribal leaders, accounting and economic development staff, and investment professionals will benefit from many of NAFOA's innovative sessions centered on three focus areas 1) Governance and Economic Opportunities, 2) Financial Management, and 3) Capital and Asset Management. Is Your Project Getting Enough Capital to Fail or Succeed? For more information, please contact Katie Johnson at katie@nafoa.org or (202) 768-1201.